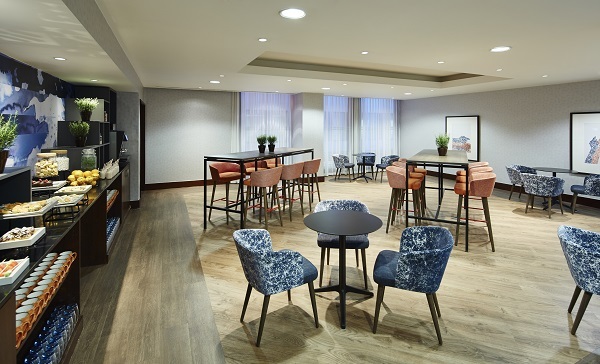 The newly refurbished Leicester Marriott Hotel will form a stunning gateway to this vibrant region. Conveniently located just minutes from the M1 it's ideally placed, linking the North with the South - and it's only a short drive to Leicester's city centre. 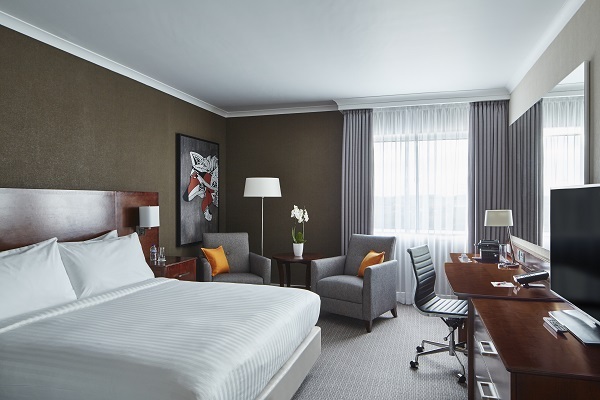 Experience a winning combination of convenience and comfort at the 4-star Leicester Marriott Hotel. Make yourself comfortable in your well-appointed room or suite, which features individual climate control, a flat-screen TV, deluxe pillow top bedding, an ergonomic work space and high-speed Wi-Fi. Maintain your fitness in our Leisure Club, which offers a gym, a heated indoor pool and free fitness classes. Begin or end your day in Leicester with a globally inspired meal at the Market Kitchen Restaurant. The Market Kitchen Bar & Lounge welcomes hotel guests and Leicester residents with a lively atmosphere, a range of craft beers, cocktails, wine & spirits and a selection of light meals or shareable platters. 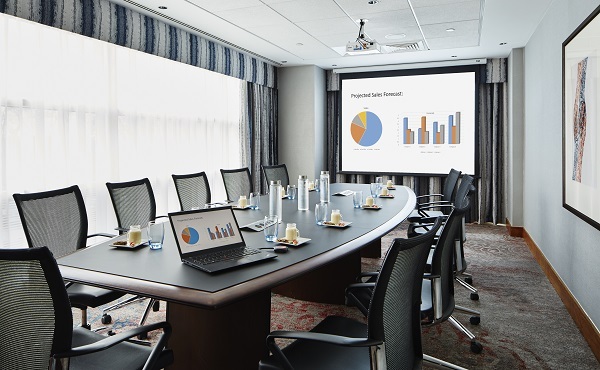 Those planning meetings or social gatherings in Enderby, Leicester will be delighted with our 4-star hotel's stylishly appointed, versatile venues, which accommodate up to 500 guests. 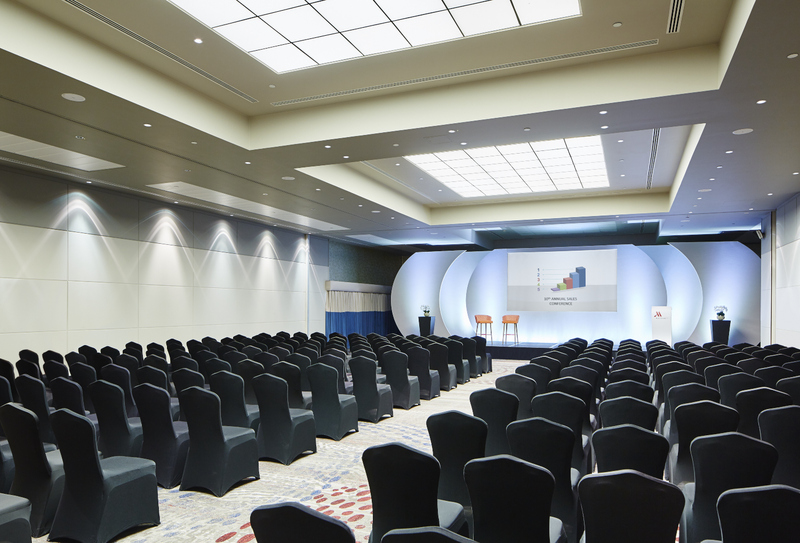 Located in the centre of England, the newly refurbished four-star Leicester Marriott Hotel is minutes from the M1. With this convenient, quiet location, our hotel in Leicester is the perfect base for business or leisure. Our staff will welcome you with first-class service and all the amenities you would expect from one of the best Leicester, England, hotels. We offer spacious, air-conditioned rooms with signature bedding, a chiller, 32-inch flat-screen TV and ergonomic work space with high-speed Internet. A flagship Leicester hotel for event facilities, we offer versatile event spaces, a wedding terrace for picture perfect moments, impeccable catering, and on-site event coordination. We’re located near attractions like the National Space Center, Twycross Zoo and Conkers, making it great for exploring. Following a busy day of meetings or sightseeing, relax in our Leicester hotel’s fully equipped gym, heated swimming pool, steam room or sauna. Catch up with friends and colleagues at the Market Kitchen Restaurant, our menu is packed full of wholesome and culturally inspired dishes from around the world. Enjoy a range of superfood salads, pasta dishes, gourmet burgers, artisan meats and melt-in-your-mouth desserts.